Rachel Reinert's organic floral paintings and designs have earned her a growing following among private collectors, interior decorators, and all who appreciate a fresh take on modern florals. 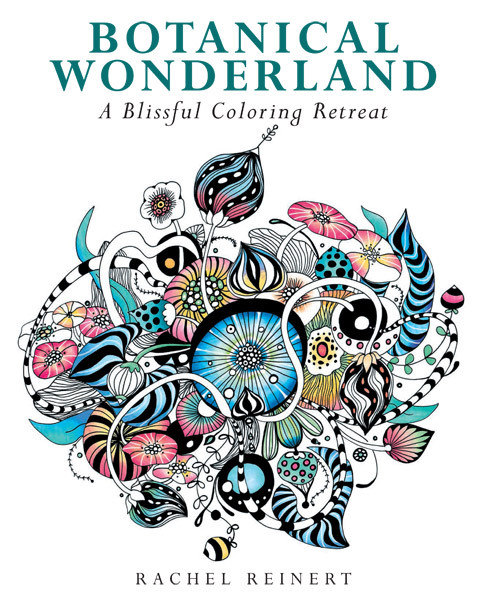 In Botanical Wonderland, Rachel makes her aesthetic accessible to both the adult coloring book and DIY crowds with a luscious collection of her stunning artwork. Each illustration in the book is hand-drawn and will be printed in black and white on substantial, single-sided stock with perforated pages that will make for easy framing. Aspirational images of some of Rachel's finished, colored botanical paintings will appear in the book as well to inspire creative souls in coloring or painting their own beautiful works to display.